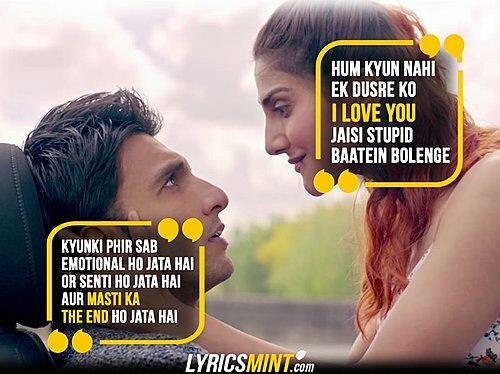 Ne dis jamais Je T’aime Lyrics from Befikre: The song has French hook line and rest of it is in Hindi. 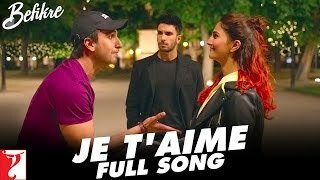 The song is sung by Vishal Dadlani and Sunidhi Chauhan, composed by Vishal-Shekhar while Je T’aime (I Love You) lyrics are penned by Jaideep Sahni. “Je T’aime” means “I Love You” and “Ne dis jamais je t’aime” means “Never say I Love You”. – Ne dis jamais je t’aime, aa ha..